Get Photocopier Rentals In Karachi makes a good sense, as it is greatly cost-effective for small-scale businesses who don’t want to invest capital can go for photocopy rentals. 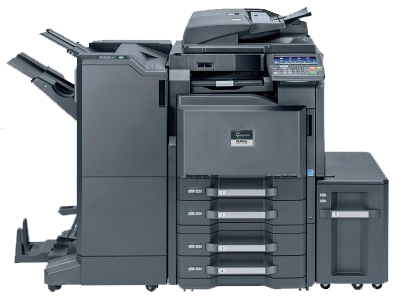 Furthermore, we offer imported Used Copier Machines brands KONICA MINOLTA, RICOH, KYOCERA, PANASONIC photocopier machines on rent. 3) Free Service and Maintenance . 4) No other cost except copy charges. Your monthly photocopier rental will be calculated through photocopy machine generated counter which shows total number of copies passed and printed. Q) What is Photocopier rental plan? A) Photocopier machine will remain the property of Paragon Copier Solution. Photocopy machine will be installed at customer’s premises. We only charge for copies customer passed and printed. Q) When will I get the photocopier machine on rent? A) We will install photocopier machine as soon as you submit the request for photocopy machine or accept our quotation. Q) If in the middle of the term I want to end the agreement what should I do? A) No problem, all you have to do is submit your request in writing a month before then we will take our machine back. Q) Who will be liable in case of damage or theft of photocopier machine?